I realized as I crawled into bed last night that I hadn't posted the winner of the the Simon Says Stamp November 2016 Card Kit. My apologies for being a day late. Beautiful! 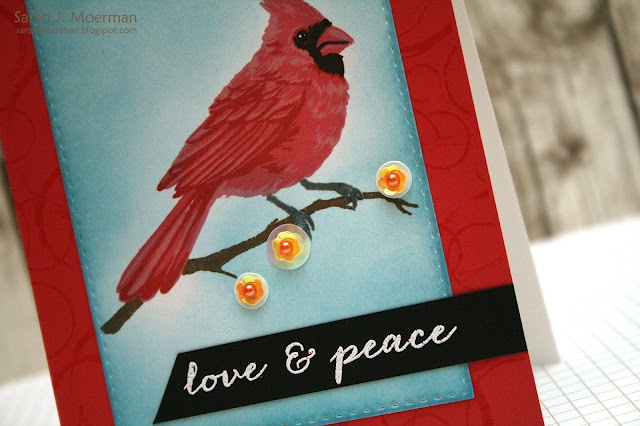 Love the big red heart & the stamped background! Congrats Pat! 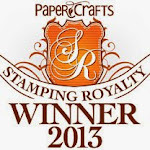 Please contact me via the link on my side bar with your mailing info so I can pass it on to Simon Says Stamp. 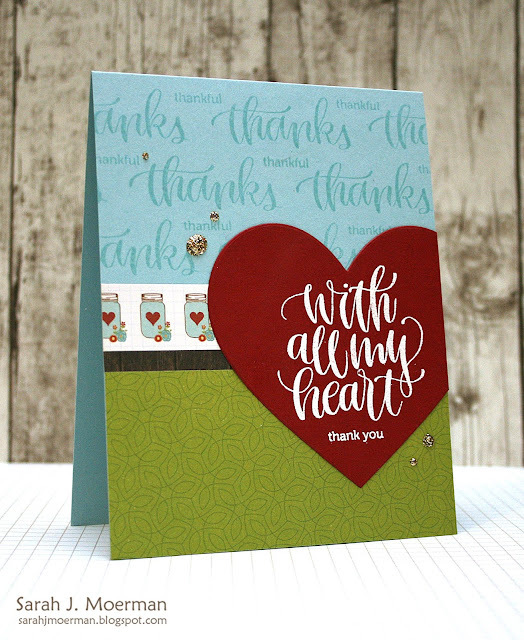 Simon Says Stamp November Card Kit: With All My Heart (& GIVEAWAY)! I'm stopping by to share a final card made using the fabulous Simon Says Stamp November 2016 Card Kit. 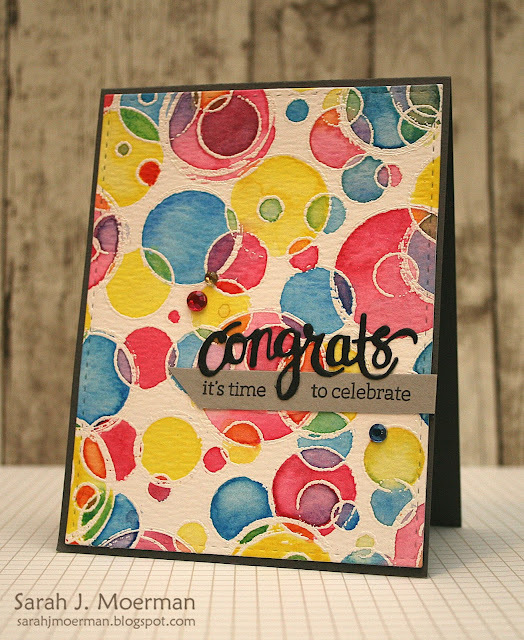 I made my card base with a piece of Simon's Surf Blue Cardstock and stamped a couple of the sentiments repeatedly using Hero Arts Soft Pool Shadow Ink. I then adhered some strips of patterned paper from Echo Park's I Love Family 6x6 Paper Pad. I die cut one of the hearts from Simon's Nested Hearts Dies using Simon's Schoolhouse Red Cardstock and white heat embossed the my sentiment on it. Finally, I added some Tidings Stickles. 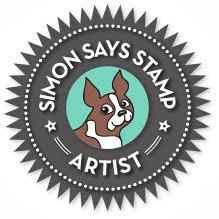 If you're interested, you can pick up the Simon Says Stamp November2016 Card Kit for just $29.95 + shipping. If you'd like to receive this kit and future kits for only $24.95 + shipping per month, you can SUBSCRIBE HERE. 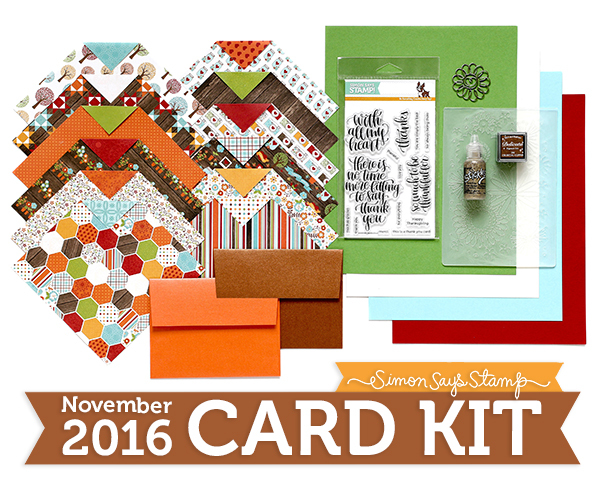 Heidi, owner of Simon Says Stamp, has given me an extra November 2016 Card Kit to pass on to one of you! Just leave a comment on any or all of my November Card Kit posts and I'll announce a winner Friday October 28th. I'm stopping by today as part of the Hero Hostess Blog Hop. You should be arriving from the fabulous Sue McRae's blog. Hero Arts will be awarding 4 prizes ($25 shopping sprees to Hero Arts online shop) from randomly drawn comments. For a chance to win, simply comment on ANY of the stops along the hop on Oct. 24th and 25th, including each day’s ending post at the Hero Club Blog by 11:59pm PT Sunday Oct 30 for a chance to win. The more comments you leave, the better your chance of winning! If you find a broken link, you'll find a master list of the hop links at the Hero Arts Blog. I white heat embossed Hero Arts Rings Bold Prints Stamp on Tim Holtz Distress Watercolor Cardstock. I then painted the circles in with Zig Kuretake Gansai Tambi Watercolors. The sentiment was created with the Hero Arts Congrats Stamp And Cuts. For this card I used the same Hero Arts Rings Bold Prints Stamp for a tone on tone background. 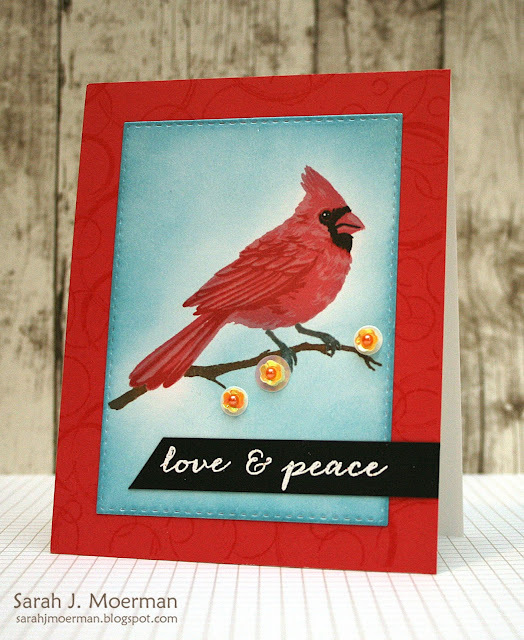 For the focal point I used Hero Arts Color Layering Cardinal Stamps. This might just be my first time using Color Layering Stamps and I was blown away by how realistic they make the image look. Just beautiful! Once I finished stamping my image I used an Ink Blending Tool and Tumbled Glass Distress Ink to create the sky and added some sequins and pearls to make my flowers. The sentiment was white heat embossed on black cardstock. Thanks for stopping by! You next stop on the hop is the sweet Nancy Krueger's blog.